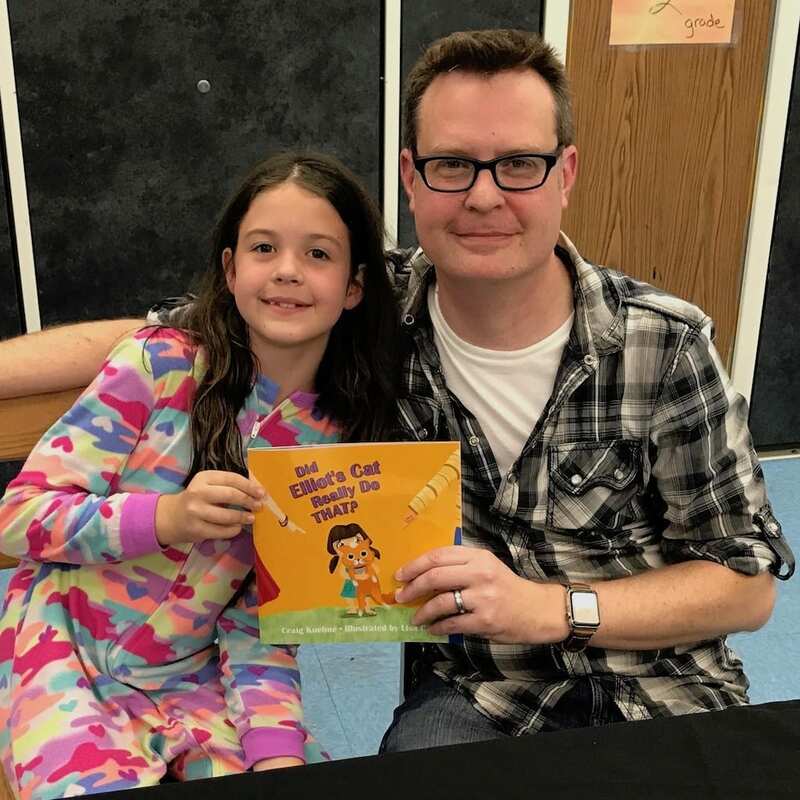 New Fun Children’s Book About Honesty, entitled ‘Did Elliot’s Cat Really Do That?’ Read Interview With Author Craig Kuehne! 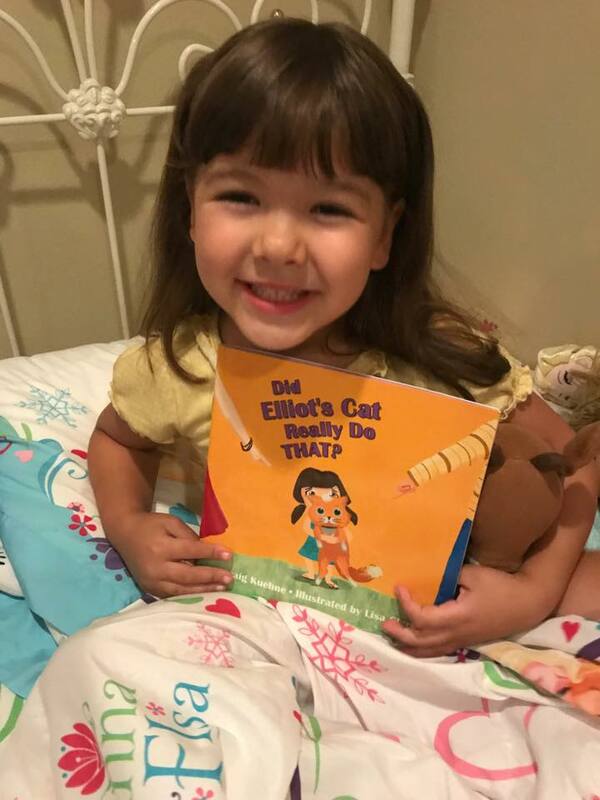 Introducing my daughter Mia’s new favorite book, ‘Did Elliot’s Cat Really Do That?’ With rhyming text that’s fun to read for both adults and children, ‘Did Elliot’s Cat Really Do That?’ explores the consequences of not telling the truth. The book has been beautifully illustrated by Lisa Clark. See below to check out my interview with the Author, Craig Kuehne! It was something that I had always thought about doing, but it kind of fell by the wayside. I had forgotten about it until I was inspired by an incident with my daughter when she was four years old. 2. How long did it take you to write the story? It took me about two days to write it, and around four years to have the illustrations completed. After that, I finished the interactive iBook version in a couple of days. 3. How did your daughter Elliot and the cat become the focal points of your story? 4. What is your favorite part of the story? 5. How does your daughter like being the main character in your story? She didn’t go into specifics beyond saying that she likes it. 6. Does Elliot have a favorite part to the story? Yes! She likes the bathtub part because the idea of blaming a cat for jumping into water, when cats hate water, is ridiculous. Also, she likes that there is a “hidden” rubber ducky in that scene. 7. What are your hopes for your new book? I hope it sells well enough for me to release a second one! 8. Where can people buy your book? They can buy the printed copy on Lulu.com, which I’m publishing it through. It can also be purchased though Amazon.com, and Barnes and Noble’s website (bn.com). There is also a very affordable interactive iBook version (for the iPad, iPhone, iPod Touch and Mac) through Apple’s iBook Store. My daughter narrates the interactive version which also includes sound effects. 9. Have you done any readings or will you be doing any readings of your book anywhere? I have! I was invited to do a reading at my daughter’s school, through their PJs and Books event. It was attended by more than 50 kids, and there was a Q & A with them afterwards. I plan on finding other venues, like libraries or bookstores to do more of those. 10. Will there be more adventures with Elliot in future books? Do you see a possible book series in the future? That is my plan. I have a great idea for a second book in the series that I’m very excited about. Yes, I plan on this being a series featuring several titles. Author Craig Kuehne with his daughter Elliot! A special interactive version is available through Apple’s iBooks Store too!